HYHK is the official NYC Parks & Recreation maintenance and operations partner for Hudson Blvd Park. The park is located between West 34th and West 36th Streets, mid-block between 10th and 11th Avenues. 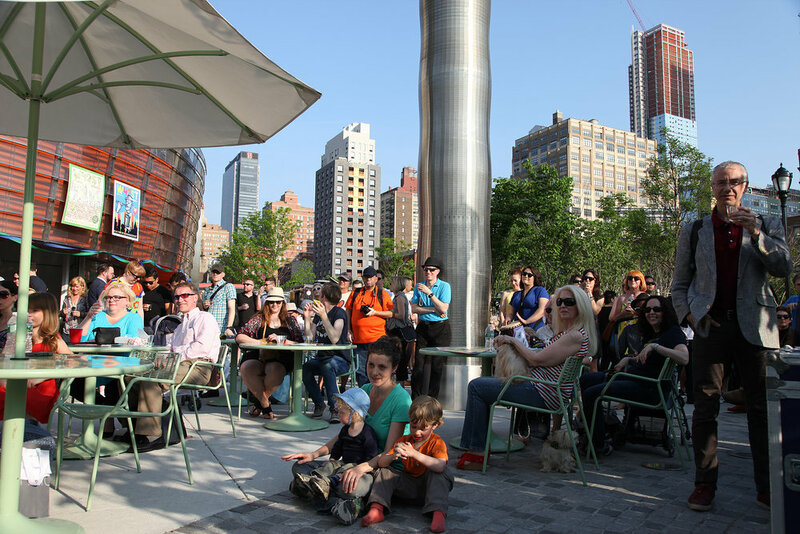 Through HYHK’s cultural programming, the park has hosted sculpture exhibitions, a film festival, farmers market, summer film series, children's events; and sponsors seasonal fitness and wellness events. All are free and open to the public. If you are interested in working together, email info@hyhkalliance.org. Hudson Blvd Park is a shared public space provided for the enjoyment and recreation of the community. Be courteous and respectful to others, and please keep the park clean. Dogs must be properly licensed and vaccinated. The park is closed from 11:00pm to 6:00am. HYHK cleans, secures, and programs events for Hudson Blvd Park. Want to partner with us for an event? Click here to take a park programming survey. Want to hold an event with us?